Junichi signed a minor league contract with an invite to major league Spring Training in January of this season ... has pitched in parts of nine seasons with the Red Sox (2009, 2011-16), Marlins (2017-18) and Angels (2018), going 21-26 with a 4.12 ERA (181 ER/395.1 IP) in 388 appearances, all but four as a reliever ... From 2012-14, he posted a 2.62 ERA (51 ER/175.1 IP) in 179 relief outings with the Red Sox ... posted a 1.23 ERA (1 ER/7.1 IP) in the 2013 postseason, helping Boston to a World Series championship ... Signed with Boston as an international free agent, December 3, 2008 ... in his first season in North America in 2009, he was named an Eastern League mid-season All-Star ... made his major league debut with Boston, August 7, 2009 ... Was an MLB Futures Game selection in 2009 ... Had four-year amateur career with Nippon Oil ENEOS of the Japan Industrial League prior to signing with Boston ... went 14-3 with 11 saves and a 1.99 ERA (39 ER/176.2 IP) in 53 career appearances (13 starts) ... Graduated high school from the Yokohama College of Commerce ... he was a member of the 2003 team that played in the Koshien Tournament, but did not appear in a game. Junichi appeared in 31 major league games between the Marlins and Angels, going 1-1 with a 7.07 ERA (22 ER/28.0 IP) ... Began the season with Miami, posting a 9.00 ERA (20 ER/20.0 IP) in 22 games ... was designated for assignment, May 18, and released on May 21 ... Signed a minor league contract with Detroit, June 3 ... was released, July 9 ... signed a minor league contract with the Angels, July 13 ... Was on the minor league disabled list, July 17-August 13, with a left knee contusion ... Appeared in nine games with the Angels in September, allowing just two earned runs in 8.0 innings (2.25 ERA) ... Went 0-2 with a 8.36 ERA (13 ER/14.0 IP) in 14 relief outings in Triple-A between Toledo (Detroit) and Salt Lake (Los Angeles). Stranded all 16 inherited runners. Was one of just two Major League relievers to strand as many as 16 inherited runners: Yusmeiro Petit left all 20 inherited runners on base... Only one pitcher in Club history stranded more in a single season without allowing a runner to score: Brian Sanches in 2011 (19)...Allowed multiple runs in just eight of 55 appearances...Earned first win of the season on April 15 vs. Mets... Placed on 10-day disabled list on May 16 (retro to May 15) with rib cartilage inflammation, missing 32 games. Made five rehab appearances between Triple A New Orleans, Double-A Jacksonville and Single-A Jupiter, going 0-1 with a 7.20 ERA (5.0 ip/4 er). Reinstated from the DL on June 21...Tossed season-best 10.0 consecutive scoreless innings from July 1-21. Had streak snapped on July 22 at Cincinnati, allowing one run on two hits in 1.0 inning...Worked season-high 2.0 innings on July 1 at Milwaukee, allowing one hit while walking none and striking out a season-high three batters. Matched the high on September 6 vs. Washington, Sept. 12 at Philadelphia, and Sept. 22 at Arizona. ..In 12 July appearances, had no record and 2.13 ERA (12.2/3). Spent entire season with Boston, making 53 appearances and posting 4.17 ERA (49.2 ip/23 er) with 54 strikeouts and 14 walks...Issued 2.54 bb/9.0, highest mark of career (min. 40.0 ip); still ranked 38th among 98 qualified American League relievers (min. 0.93 batters faced/162 games)...Went 0-1, 1.37 (19.2/3) over first 21 appearances, with .162 (11x68) average against; went 3-1, 6.00 (30.0/20) with .290 (36x124) average against in final 32 outings...Was 1-1, 3.62 in 35 first-half appearances, and 2-1, 5.19 in 18 second-half games...Posted 3.60 ERA (20.0/8) in seventh inning (25 games), but a 7.16 ERA (16.1/13) in eighth inning (23 games)...Appeared in ninth inning just eight times, but tossed 8.0 perfect frames with four hits allowed, two walks, and seven strikeouts...Held left-handers to .207 (17x82) batting average. Made 61 appearances out of the Red Sox bullpen and led club relievers in SO (56) and holds (16)...Did not appear in any of the club's final 22 games of the season. Allowed no runs in 46 of his 61 appearances (75%). Posted a 1.33 ERA (4 ER/27.0 IP) with a .179 (17-for-95) opponent AVG over his first 29 games of the season (through 6/11), compared to a 6.54 ERA (23 ER/31.2 IP) and a .350 AVG (48-for-137) over his final 32 games. Of his first 29 appearances (through 6/11), 13 were perfect (T-9th most among AL pitchers at the time). Recorded a career-high 3 saves, all over a span of 4 games, 8/19-26...The save on 8/19 vs. CLE was his 1st since 4/26/12 at CWS. Allowed only 1 ER over a 17-game span, good for a 0.59 ERA from 5/4-6/11 (15.1 IP). Began the season with 8 scoreless appearances (8.0 IP), which dating back to 9/10/14 extended his scoreless streak to a career-best 12.2 IP. Induced 5 ground ball double plays, a single-season career best. Suffered a blown save on 9/11 at TB (0.1 IP, 4 H, 4 ER), his final appearance of the season. Led all Red Sox pitchers with a career-high-tying 71 appearances (also 71 games in 2013)...Also recorded a team-leading 16 holds...No runs allowed in 55 of his 71 games (77%)...Began the season with a career-long 10.0-inning scoreless streak that spanned 11 appearances...Was the most scoreless games to begin a season for a Red Sox pitcher since Ramon Ramirez in 2009 (13 G)...Finished 2nd among club relievers in wins (4) behind Koji Uehara (6)...3 of his 4 wins came on the road, and 2 of the 4 were extra-inning games...Posted a 2.55 ERA (15 ER/53.0 IP) in 60 appearances against the American League...Allowed 5 ER in 10.0 IP (4.50 ERA) in 11 Interleague games...Issued more than 1 BB in a relief appearance for the 1st time in his career on 7/25 at TB (0.2 IP, 2 BB)...Had made 158 relief appearances without walking more than 1 batter prior to that appearance...Also walked 2 batters in consecutive appearances on 8/18 and 8/21 vs. LAA...Following those games, did not issue a walk over his final 12 appearances (10.2 IP) of the season...Struck out 12 over a span of 7 games (6.1 IP) from 8/9-23...Held opponents to a .045 AVG (1-for-22) over his final 8 games of the season (since 9/1). 2013: Made 1st career Opening Day roster...Led all Red Sox relievers and ranked T-7th among all American League relievers in holds (25). Set career highs in several categories including games (71), innings (68.1), wins (5), and strikeouts (72)... Ranked T-10th among AL relievers in games. Finished with a SO/BB ratio of 6.0 (72 SO/12 BB), tied with NYY's Mariano Rivera for 3rd-best among all AL relievers...Finished 5th among AL relievers in BB/9.0 IP ratio at 1.6 (12 BB/68.1 IP). No runs allowed in 51 of his 71 appearances (72%). Pitched more than 1.0 inning 11 times and posted a 0.98 ERA (2 ER/18.1 IP) when doing so. Had at least 1 SO in 48 games and struck out 2 or more 19 times. Posted a 2.81 ERA (10 ER/32.0 IP) in 35 games at Fenway Park, and a 3.47 ERA (14 ER/36.1 IP) in 36 road games...Did not allow runs in 27 of his 35 home games. Was 2-0 with a 0.93 ERA (1 ER/9.2 IP) with 0 BB and 10 SO over his first 9 games of the season and did not issue a BB over his first 11 games (11.1 IP). 3 of his wins came in Red Sox final at-bat victories: 4/13 vs . TB, 5/16 at TB, and 8/7 at HOU . Was 4-1 with a 2.24 ERA (15 ER/60.1 IP) and 3 HR allowed in 62 games against all MLB clubs with the exception of TOR…Went 1-3 with a 10.13 ERA (9 ER/8.0 IP) and 6 HR allowed in 9 games against the Blue Jays. Posted a 1.43 ERA (7 ER/44.0 IP) over 37 relief appearances over 3 major league stintswith the Red Sox.His ERA ranked 2nd in the AL (3rd in ML) among pitchers with at least 40.0 innings, trailing only TB's FernandoRodney (0.60)...Since 1915, only 2 Red Sox have posted a lower single-season ERA while throwing at least 40.0innings: Jonathan Papelbon in 2006 (0.92) and Calvin Schiraldi in 1986 (1.41).Recorded 45 strikeouts and issued just 5 walks for a 9.0 strikeout-to-walk ratio, tops in the majors amonghurlers with at least 40.0 IP...It was the 2nd-best single-season K/BB ratio in Red Sox history among pitcherswith at least 25.0 innings after Jonathan Papelbon in 2008 (9.63).Was just the 3rd AL pitcher ever to post an ERA under 1.50 and a K/BB ratio of at least 9.0 in a single season(min. 20.0 IP)...The others are Hall of Famer Dennis Eckersley (1990 with OAK) and Mariano Rivera (2008 withNYY)...Was the 2nd-youngest major leaguer ever to do that after Stephen Strasburg (2011 with WSH).Led the majors (min. 40.0 IP) with just 1.02 walks per 9.0 IP, the 3rd-best single-season ratio by a Red Sox withat least 40.0 IP dating back to 1909, trailing only Bret Saberhagen in 1999 (0.83) and Mike Timlin in 2003 (0.97).Gave up just 1 home run to rank 2nd among AL hurlers (min. 40.0 IP) with 0.20 homers allowed per 9.0 IP,the top mark by a Red Sox hurler since 2001...Also ranked among AL pitchers with at least 40.0 innings in WHIP(9th, 0.95), base runners per 9.0 IP (T-9th, 9.00), opponent OBP (11th, .257), and opponent OPS (10th, .558).Began season with Triple-A Pawtucket...Threw 5.0 scoreless innings over 5 outings in 1st ML stint of theseason from 4/18-30.Recalled again on 7/15 and appeared in 15 games prior to 8/24 option (1.80 ERA, 4 ER/20.0 IP)...Returnedto the Sox the next day and remained in the majors for the duration of the season (1.53 ERA, 3 ER/17.2 IP).Surrendered 1 run in 7 of 37 contests and did not give up more than 1 run all year...Permitted a run in backto-back outings just once with the Red Sox on 8/25 vs. KC (1.2 IP) and 8/29 at LAA (2.0 IP).Retired his 1st batter faced in 27 of 37 appearances (73.0%)...Held opponents to a .227 clip (37-for-163)overall, including a .222 mark (22-for-99) against right-handers and .234 (15-for-64) vs. left-handers.Converted the hold in all 5 chances and did not blow a save all season...Allowed the opposition to take alead just once in 37 games with BOS, on 8/25 when he came into a tied game and pitched a perfect 11th inning before yielding a 12th-inning run for his only loss of the year, his 1st defeat overall since 8/27/09 vs. CWS.Posted a .185 opponent AVG (12-for-65) and a 0.92 ERA (2 ER/19.2 IP) in 20 games against the AL East...Heldthe Yankees scoreless in 7 outings against the club (8.0 IP)...Made 10 appearances on no days rest and compiled a 0.84 ERA (1 ER/10.2 IP) in those contests...Opponentshit just .179 (7-for-39) against him in close and late situations.Went more than 1.0 inning 13 times, with at least 2.0 innings in 6 tilts...Set career relief-highs with 5 K's on7/22 vs. TOR (3.0 scoreless innings) and with 4.0 innings on 7/17 vs. CWS (1 R).Earned 1st career save with 3.0 scoreless innings to close out a 10-3 win at CWS on 4/26.Had a 1.16 ERA (3 ER/23.1 IP) with 27 K's and just 14 hits and 3 walks allowed over his last 22 games beginning 8/12...Was the AL's 5th-best ERA among pitchers with at least 20.0 innings in that stretch.Gave up just 1 run over his last 15 outings beginning 8/31 (0.64)...In that 14.0-inning stretch, yielded just3 hits (2 1B, 1 2B) and 1 walk with 18 K's, recording a win and 5 holds...Began that run with a career-high 9straight scoreless outings 8/31-9/18 (8.0 IP), during which he fanned 14 and allowed just 2 hits and 1 walk.Appeared in 6 of the Red Sox' last 7 wins of the season beginning 9/4...Recorded all 5 career holds over hislast 13 outings from 9/4 to the end of the year.Recorded multiple K's and allowed no more than 1 base runner in 4 straight appearances from 9/11-17...In thelast 10 seasons, the only other Sox pitcher to do that was Jonathan Papelbon in a 5-game stretch, 8/13-26/07.Was perfect over his last 5 outings beginning 9/22, with 4 strikeouts in 5.0 innings over that stretch...Matchedthe longest such streak by a Red Sox since 1916, along with Jonathan Papelbon from 8/16-31/11.Tossed perfect 8th inning 9/23 vs. BAL for his 1st career win in relief and 1st win overall since 8/22/09 vs. NYY.In 25 games with Triple-A Pawtucket, all in relief, went 3-2 with 4 saves, a 2.55 ERA (12 ER/42.1 IP) and 56strikeouts...Of his 25 Triple-A outings, 14 were at least 2.0 innings long...Held Triple-A right-handers to a .161clip (14-for-87)...Did not allow an earned run in his 1st 5 (9.1 IP) or last 6 outings (9.2 IP). Finished the season with Boston after beginning the year on the 60-day disabled list recovering from 2010 Tommy John Surgery.Made 6 rehab appearances with Single-A Salem, going 0-1 with a 6.05 ERA (13 ER/19.1 IP) before he was activated on 6/27 and optioned to Double-A Portland.Was 4-3 with a 3.86 ERA (16 ER/37.1 IP), 46 K's and 10 walks in 16 games (2 starts) between Portland and Triple-A Pawtucket.Allowed 6 runs over 0.2 innings in his 1st game with the Sea Dogs but followed that with a 2.42 ERA (6 ER/22.1 IP) over his last 7 games in Double-A.Did not allow a run in 6 of 8 outings with Pawtucket after joining the club on 8/8.Worked 1.2 scoreless innings of relief in Game 2 of the International League semi-finals 9/9 at Lehigh Valley (PHI).Was recalled to BOS on 9/13 and pitched that night vs. TOR, his 1st Major League game since 9/4/09 at CWS.Made 3 appearances with the Red Sox, all in relief, tallying a 6.00 ERA (2 ER/3.0 IP). Missed entire year due to Tommy John surgery.Underwent Tommy John surgery in Birmingham, AL on 4/6...After he returned to Ft. Myers, FL where he rehabbed.Prior to the 2010 campaign, ranked as the No. 6 prospect in the Red Sox organization by Baseball America. Climbed from Double-A Portland to Red Sox in 1st professional season...Earned EasternLeague All-Star honors with Portland and also made 2 starts for Triple-A Pawtucket...Became 1st BOS player to make Major League debut in 1st professional season since Craig Hansen in 2005...Went 2-2 with a 6.30 ERA (14 ER/20.0 IP) in 4 starts with the Red Sox and 0-1 with an 11.81 mark (7 ER/5.1IP) in 2 relief appearances...Received a decision in each of his 1st 5 career appearances, the longest such streak by a Sox pitcher since Steve Ellsworth's 7-gamer from 4/7-7/1/88...Took the loss in his Big League debut on 8/7 at Yankee Stadium after being recalled from Triple-A Pawtucketearlier that day...Came on in the 14th inning of a 0-0 game...Tossed 1.2 scoreless frames before yielding awalk-off homer to Alex Rodriguez in the 15th...Was the 1st Red Sox hurler to make his ML debut in extra framessince Phil Seibel on 4/15/04 vs. BAL (11th inning) and 1st ever against the Yankees...Also in that 8/7 game at NYY, joined teammates Hideki Okajima (1.1 IP) and Takashi Saito (1.0 IP) as the 1sttrio of Japanese pitchers ever to appear for a Major League team in a single game...Won 1st career start, 8/11 vs. DET...At 23 years, 66 days old, became the youngest Japanese-born starterever to win a ML game...Masanori Murakami was the only Japanese-born hurler to make his 1st start at ayounger age (21 years, 101 days) on 8/15/65 vs. PHI for SF...Earned 2nd win on 8/22, a 14-1 victory over the Yankees at Fenway Park...Allowed 8 hits and 2 walks with2 K's over 6.0 scoreless frames...Surrendered at least 1 hit in each of his 6.0 innings, stranding 9 base runners...Became 1st Sox hurler to make a start of 6.0 or more scoreless innings while allowing at least 1 hit inevery frame since Oil Can Boyd on 4/8/88 (6.0 IP)...Optioned to the Gulf Coast League Red Sox on 8/29...Recalled back to BOS on 9/1...Season ended on 9/21 when he landed on the 60-day disabled list with a mild left groin strain...Combined to go 9-7 with a 2.55 ERA (31 ER/109.1 IP) in 20 starts between Double-A Portland and Triple-APawtucket...Finished 4th among Sox minor leaguer leaders in ERA...Began the year with Portland and was named an Eastern League All-Star...Promoted to Pawtucket on 7/26...Selected to pitch for Team World in the All-Star Futures Game on 7/12 in St. Louis...Was slated to start thegame but did not pitch due to a weather delay. Signed a 3-year major league contract extending through the 2011 season with theRed Sox on December 11, 2008...The 22-year-old joins the organization after a 4-year amateurcareer with the Nippon Oil ENEOS of the Japan Industrial League, during which he went 14-3 with11 saves and a 1.99 ERA (39 ER/176.2 IP) in 53 games/13 starts...Named the No. 7 prospect, the No.5 pitcher in the Red Sox organization by Baseball America. WITH THE ENEOS: Went 13-1 with 5 saves and a 0.80 ERA (10 ER/113.0 IP) in 21 games/11 startsin 2008...Struck out 114 batters and walked just 15 over 113.0 frames, an average of 9.1 K's per9 innings...Established amateur career highs in nearly every category, including games, starts,complete games (6), shutouts (4), innings and strikeouts. CORPORATE CHAMPS: Led the ENEOS to the semifinals of the league's corporate championshipin November...Faced 3 batters over the minimum, allowing 5 hits with 2 walks and 4 K's over 9.0scoreless innings in his first start of the tournament...In his last start of the competition, a quarterfinalsmatch-up in Osaka on the 21st, allowed 4 hits and fanned 10 in a complete-game shutout. TOURNAMENT HONORS: In September, helped Nippon Oil win the 32-team Intercity BaseballTournament for the first time in 13 years...Appeared in all 5 of the ENEOS' games from September1-9, and earned the event's Most Valuable Player award going 4-0 with one save and a 1.27 ERA...Tossed 8.0 innings or more with double-digit strikeouts in each of his first 2 tournament appearances,including a complete-game, 5-hit effort on September 4.Had 10 or more K's on 4 occasions in 2008, and earned the MVP honors in the Sports Nippon Tournamentafter a career-high 18-strikeout performance in a quarterfinals start on March 23. INSIDE THE NUMBERS: Did not allow an earned run in his first 5 appearances/2 starts of the season,March 19-April 11, going 3-0 with 2 saves over 21.1 innings in that span...Suffered his firstloss of the year in 0.2 inning out of the bullpen on May 9...Had been 4-0 with 2 saves prior to thesetback...Went undefeated in his remaining 12 games/7 starts from June 4-November 22, going8-0 with 2 saves and a 1.12 ERA (9 ER/72.0 IP). MORE 2008 HIGHLIGHTS: Made relief appearances in both ends of a doubleheader on March25...Went 2.0 innings in each game, recording the save in the first game and the win in the 2nd...Tossed a 9.0-inning complete-game victory on April 12, allowing one earned run, his first of theseason, with 8 hits and one walk while fanning 8...Earned wins in 4 straight appearances, including3 starts, from September 1-8, fanning 32 while walking just 5 in that time. Went 1-1 with 6 saves and a 3.91 ERA (20 ER/46.0 IP) in 20 games (2 starts)...Struck out 46 batters and walked 11...Surrendered just 1 home run all season. Did not record a decision over 5 relief outings, posting a 7.45 ERA (8 ER/9.2 IP)...Compiled 7 strikeouts and 1 walk...Surrendered 14 hits, including 1 home run. Was 0-1 with a 1.13 ERA (1 ER/8.0 IP) in 7 games out of the bullpen in his 1st year with the ENEOS...Fanned 7 and walked 4. 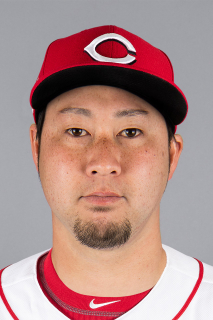 March 24, 2019 Chicago Cubs released RHP Junichi Tazawa. March 24, 2019 Iowa Cubs released RHP Junichi Tazawa. February 6, 2019 RHP Junichi Tazawa assigned to Iowa Cubs. January 26, 2019 Chicago Cubs signed free agent RHP Junichi Tazawa to a minor league contract and invited him to spring training. October 29, 2018 RHP Junichi Tazawa elected free agency. September 1, 2018 Los Angeles Angels selected the contract of RHP Junichi Tazawa from Salt Lake Bees. August 13, 2018 Salt Lake Bees activated RHP Junichi Tazawa from the 7-day disabled list. July 16, 2018 RHP Junichi Tazawa assigned to Salt Lake Bees. July 13, 2018 Los Angeles Angels signed free agent RHP Junichi Tazawa to a minor league contract. July 9, 2018 Toledo Mud Hens released RHP Junichi Tazawa. June 18, 2018 RHP Junichi Tazawa assigned to Toledo Mud Hens. June 3, 2018 Detroit Tigers signed free agent RHP Junichi Tazawa to a minor league contract. May 21, 2018 Miami Marlins released RHP Junichi Tazawa. May 18, 2018 Miami Marlins designated RHP Junichi Tazawa for assignment. June 22, 2017 Miami Marlins activated RHP Junichi Tazawa from the 10-day disabled list. June 20, 2017 Miami Marlins sent RHP Junichi Tazawa on a rehab assignment to New Orleans Baby Cakes. June 13, 2017 Miami Marlins sent RHP Junichi Tazawa on a rehab assignment to Jacksonville Jumbo Shrimp. June 9, 2017 Miami Marlins sent RHP Junichi Tazawa on a rehab assignment to Jupiter Hammerheads. May 17, 2017 Miami Marlins placed RHP Junichi Tazawa on the 10-day disabled list retroactive to May 16, 2017. Rib cartelige inflammation. December 16, 2016 Miami Marlins signed free agent RHP Junichi Tazawa. November 3, 2016 RHP Junichi Tazawa elected free agency. October 12, 2016 Boston Red Sox activated RHP Junichi Tazawa. October 6, 2016 Boston Red Sox reassigned RHP Junichi Tazawa to the minor leagues. July 22, 2016 Boston Red Sox activated RHP Junichi Tazawa from the 15-day disabled list. July 14, 2016 Boston Red Sox placed RHP Junichi Tazawa on the 15-day disabled list retroactive to July 4, 2016. Right shoulder impingement. August 25, 2012 Boston Red Sox recalled RHP Junichi Tazawa from Pawtucket Red Sox. August 24, 2012 Boston Red Sox optioned RHP Junichi Tazawa to Pawtucket Red Sox. July 15, 2012 Boston Red Sox recalled Junichi Tazawa from Pawtucket Red Sox. May 1, 2012 Boston Red Sox optioned Junichi Tazawa to Pawtucket Red Sox. April 18, 2012 Boston Red Sox recalled Junichi Tazawa from Pawtucket Red Sox. March 23, 2012 Boston Red Sox optioned Junichi Tazawa to Pawtucket Red Sox. September 13, 2011 Boston Red Sox recalled Junichi Tazawa from Pawtucket Red Sox. August 8, 2011 Junichi Tazawa assigned to Pawtucket Red Sox from Portland Sea Dogs. June 27, 2011 Boston Red Sox optioned Junichi Tazawa to Portland Sea Dogs. May 16, 2011 sent RHP Junichi Tazawa on a rehab assignment to Salem Red Sox. March 26, 2011 Junichi Tazawa roster status changed by Boston Red Sox. November 8, 2010 Boston Red Sox activated RHP Junichi Tazawa from the 60-day disabled list. April 3, 2010 Boston Red Sox placed RHP Junichi Tazawa on the 60-day disabled list. Sprained right elbow ligament. November 13, 2009 Boston Red Sox activated RHP Junichi Tazawa from the 60-day disabled list. September 1, 2009 Boston Red Sox recalled Junichi Tazawa from GCL Red Sox. August 29, 2009 Boston Red Sox optioned Junichi Tazawa to GCL Red Sox. August 7, 2009 Boston Red Sox recalled Junichi Tazawa from Pawtucket Red Sox. July 26, 2009 Junichi Tazawa assigned to Pawtucket Red Sox from Portland Sea Dogs. July 1, 2009 Junichi Tazawa roster status changed by Portland Sea Dogs. December 4, 2008 Boston Red Sox signed free agent RHP Junichi Tazawa.